An Architect presently working as an Assistant Professor at Department of Architecture, College of Engineering Trivandrum. 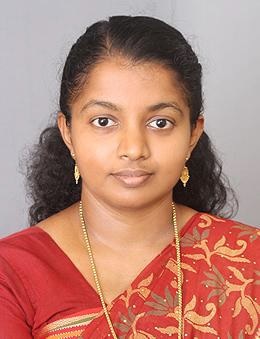 After completing Graduation in Architecture and Post Graduation in Planning with specialization in Housing at College of Engineering Trivandrum, she had joined TKM College of Engineering, Kollam and then Govt.Engineering College, Thrissur. She has to her credit five years of experience as Practising Architect and eight years of teaching experience. She has organised Short term course under CFSD and training programmes under visiting faculty scheme. She is working in social projects for social awareness and women empowerment.